By-pass Microfiltration System | Ecotech Environmental & Petromarine Engineering Pvt. Ltd.
Particulates and water are the primary reasons for lubricating (hydraulic/engine/turbine/synthetic) oils to lose their properties. A system to continuously remove particulates and water without removing the additive mix would increase the usable life of lubricating fluids manifold. This can be achieved by means of microfiltration of the lubricating fluids on a continuous/regular basis. Cleans hydraulic and lubrication fluids to 1 micron level (NAS 2/3) without affecting additive package. Brings down water content in the fluid to about 130ppm. 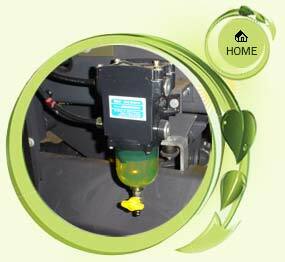 Machines can work without oil change from 3 to 10 times normal change interval. Longer life of equipment due to lower wear and tear and lower maintenance cost. Lesser fluid to be disposed off- increased environment protection. Extends the oil change intervals. Reduces downtime and labour costs.